Top Fox News D.C. Reporter James Rosen Left Network After Harassment Claims Former colleagues allege the chief Washington correspondent left Fox News after sexually harassing female co-workers. Rosen's departure followed network scrutiny of his behavior toward women there. Former colleagues allege former Fox News reporter James Rosen was ousted after sexually harassing female co-workers. The network cited no reason for Rosen's exit and did not announce it on the air. According to Rosen's former colleagues, however, he had an established pattern of flirting aggressively with many peers and had made sexual advances toward three female Fox News journalists, including two reporters and a producer. And his departure followed increased scrutiny of his behavior at the network, according to colleagues. This story is based on interviews with eight of Rosen's former colleagues at the Fox News bureau in Washington, D.C., just a few blocks from the U.S. Capitol. Rosen declined to comment to NPR after it set out in detail what it intended to report. Murdoch went on: "There's been nothing else since then. That was largely political because we're conservative." Murdoch's 21st Century Fox, Fox's parent company, had to issue a statement cleaning up the damage caused by those remarks among outraged female employees. Many female former Fox News journalists other than Carlson had come forward to attest to sexual harassment by Ailes (all of which he denied through his lawyer before Ailes' death in 2017). Yet Ailes was not the only prominent Fox figure accused of sexual harassment. Top prime-time host Bill O'Reilly was bought out of his contract by Fox in the spring of 2017 after The New York Times detailed the scope of multiple sexual harassment allegations against him for which he agreed to pay settlements totaling approximately $45 million to quiet them; the host Eric Bolling was fired after being accused of sending unsolicited sexually explicit texts to several female colleagues; and other top executives were ushered out as having facilitated or tolerated such behavior. A midlevel Fox News executive, Francisco Cortes, was also fired in 2017 after being accused of sexually assaulting a former Fox News contributor. O'Reilly, Bolling and Cortes have each denied any wrongdoing. A judge this week dismissed Cortes' allegations contained in a lawsuit against 21st Century Fox that it fired him and leaked news of the accusation to scapegoat him as a public relations ploy. 21st Century Fox and Fox News say the removal of those executives and a raft of new procedures show the network's commitment to offering a fair and welcoming workplace for women. The Ailes and O'Reilly sexual harassment scandals inspired further revelations about related accusations against powerful figures across numerous media institutions, including NPR, which fired two male news executives last fall. The accusations against Rosen, who is married with young children, are more severe than that. He developed a reputation as a talented and ambitious journalist called "the professor" on the air by former political anchor Brit Hume for his interest in Watergate (Rosen wrote a book focusing on the life of former Attorney General John Mitchell that argued for a kinder reassessment of his role in that Nixon-era scandal). Rosen has sent such messages, according to his former female co-workers. But in three instances he made overt physical and sexual overtures, according to the accounts of numerous former Fox News colleagues who heard about the incidents contemporaneously. In a subsequent episode several years later, a female producer covering the State Department alleged that Rosen had directly sexually harassed her. A foreign national, she subsequently accepted a deal from Fox that enabled her to extend her stay in the U.S. in exchange for not making her complaint public, according to several of her former colleagues. The producer, who now works for a foreign-based news organization, is abroad with family and did not respond to several detailed messages left by email and phone seeking comment. Late last spring, Rosen turned his attention to a younger female reporter, according to two colleagues who say she told them of the incident shortly afterward. Returning from a lunch together, Rosen physically tried to kiss her in the elevator ride back to the office, and once refused, attempted forcibly to kiss her again. According to a colleague, he then asked the reporter to keep the approach quiet and offered her unsolicited help in getting more time on Bret Baier's nightly political newscast, Special Report. The female reporter declined to comment for this story. Fox News executives say privately it takes time to reverse problems in a culture set from the top by Ailes. Under a new top human resources executive, Fox News last summer placed a human resources employee in the bureau for the first time. 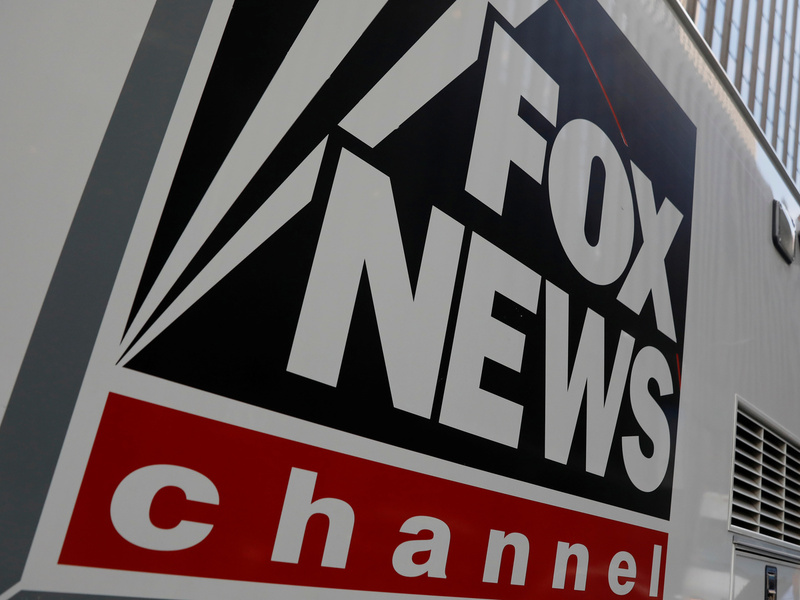 In response to detailed questions, Fox News declined to comment on its Washington bureau or Rosen beyond affirming his departure. Yet some female employees at Fox's D.C. bureau say the company seemed late to turn its attention southward from its main headquarters in New York City, given the Ailes scandal. The bureau is a large outpost and a mainstay of the network's coverage. Its reporters, producers and hosts serve up stories, segments and shows that help fuel Fox programming throughout the day and evening. And employees interviewed pointed to earlier related incidents in D.C. The former Fox News correspondent Rudi Bakhtiar alleged that she was dismissed in 2007 after she made complaints that the new Washington bureau chief, Brian Wilson, had propositioned her. After she filed an internal complaint, Fox's Ailes informed her she was being let go because of her performance. She was paid an undisclosed sum in a private settlement. In another instance, Catherine Herridge, a former Fox weekend host who is now a Washington-based national security correspondent for the network, made a range of allegations in a November 2010 complaint filed with the U.S. Equal Employment Opportunity Commission — including sexual and age discrimination, unequal pay, and job retaliation for raising complaints internally. She alleged she had been subjected to a "glass ceiling." She also said that Fox News general counsel Dianne Brandi had conducted the internal investigation even though she was one of the people identified in Herridge's complaint. The EEOC said it did not have sufficient evidence to support many of Herridge's accusations but ultimately sued Fox News, alleging it had unlawfully retaliated against her. The suit was dismissed. Herridge and Fox signed a new contract and she remains on the air. Brandi, then the network's top lawyer, characterized the EEOC's suit as "politically motivated." Brandi is now on extended leave from Fox News, which is the focus of an ongoing criminal inquiry by federal prosecutors for its handling of payments to women who alleged sexual harassment there. Rosen's departure was a surprise — with no celebration of his achievements on the air, no announcement to viewers, nor much warning to colleagues. He had attended a holiday party for Baier's show, Special Report, just a few days earlier.